If you love Laura Geller, then please don't read this post! 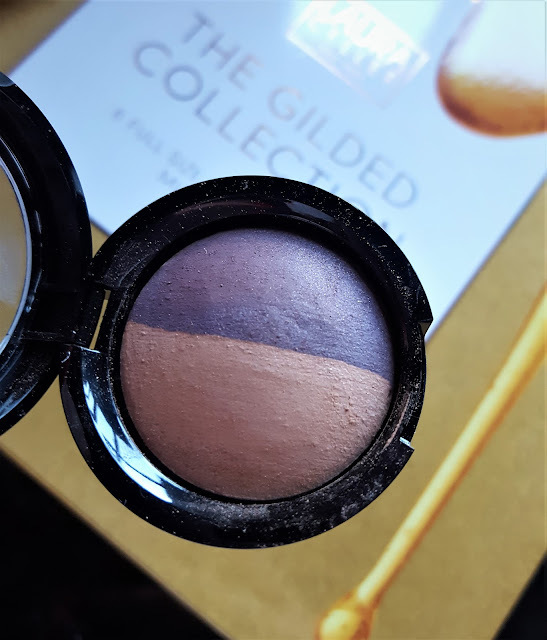 This post is my personal experience with The Gilded Collection that I purchased with my own hard-earned-cash... so let's delve in.. 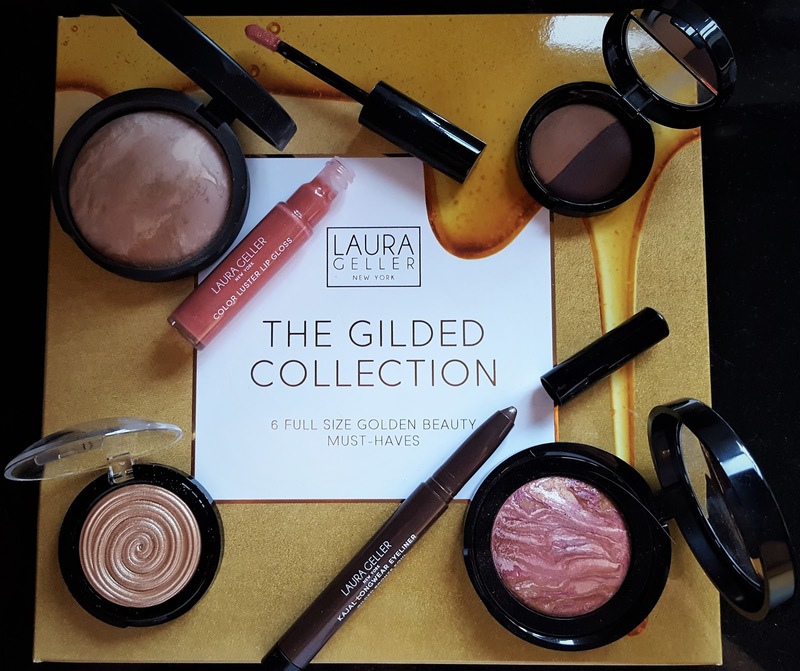 I purchased the Laura Geller - The Gilded Collection from QVC UK (AKA The Mothership!) It was a TSV (Today's special Value) an offer thats on for one 24 hour period. The price was great for a set that offers you everything for a full face of makeup, the only thing you are missing is a mascara! 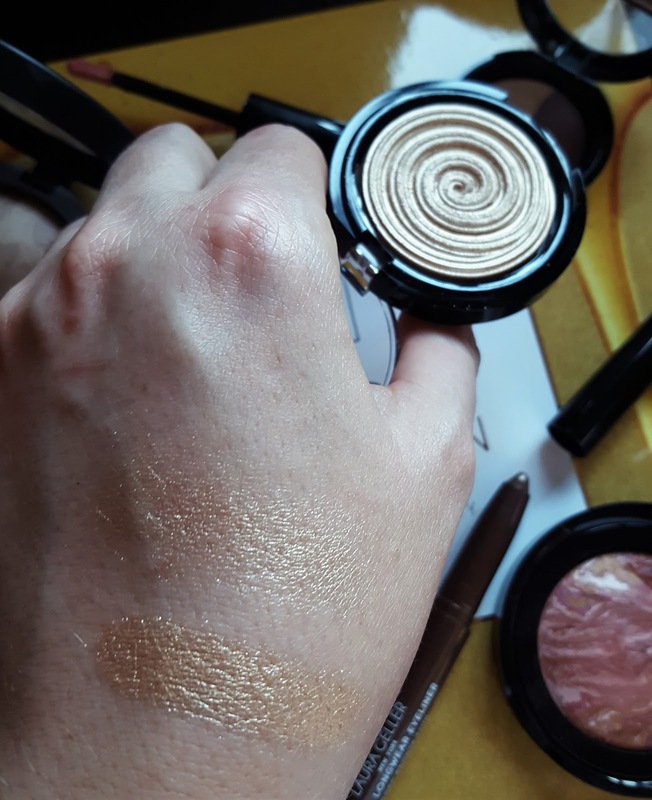 I took the plunge and ordered the set, I have previously ordered the palest shade of the Balance and Brighten foundation last year, it was wayyy too pale for me, so this time I opted for 'Fair' I REALLY wanted to see what the hype was with the brand.. so this was the best way of trying lots of products from Laura Geller in one go. 1 x Baked Balance-n-Brighten (9g) in a choice of Porcelain, Fair, Medium, Tan and Deep - helps to brighten and colour-correct your complexion - High hopes for this multi tonal foundation. Upon using it about 3 times, the coverage was minimalist, the foundation felt like talc on my skin, and made my dry skin feel even drier! 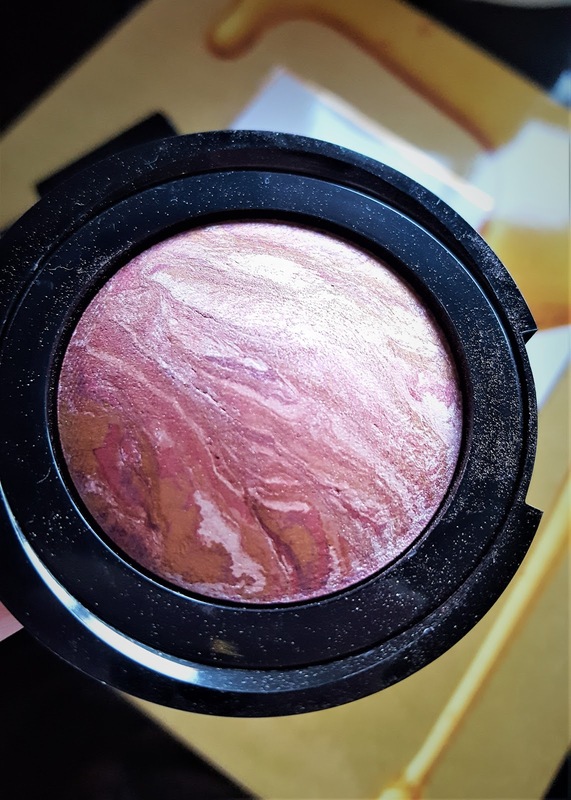 1 x Baked Blush-n-Brighten (4.5g) in Apricot Berry (rich rose coral) - creates a gorgeous flush, no matter the season. Paraben-free, with antioxidants centella asiatica and white tea extracts - Although a lovely colour, it doesn't blend that well and literally sits on top of the foundation. Nothing special at all. 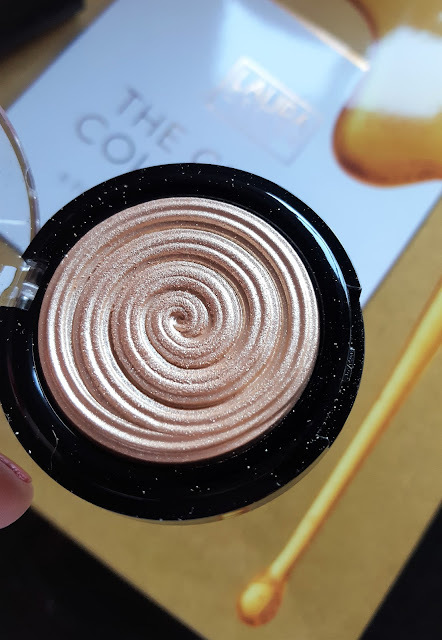 1 x Baked Gelato Swirl Illuminator (4.5g) in Gilded Honey (creamy gold) - a powder formula with a cream-like application for highlighting the high points of your complexion - The one item I had the most highest of expectations of. Although beautiful to look at.. the shade of Gilded Honey looks really cheap. 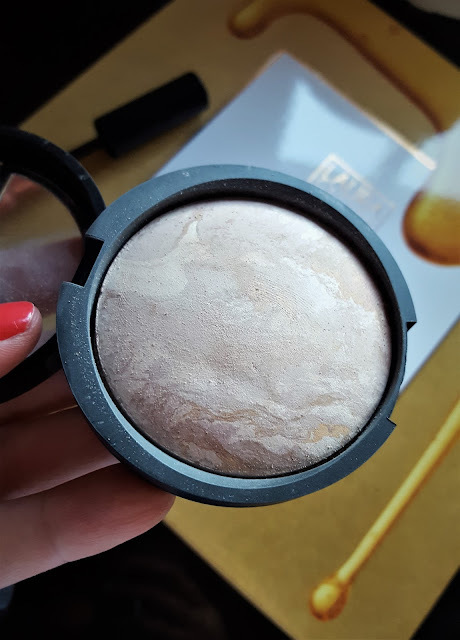 It goes on the skin and does give 'a glow' but, it's not in the same league as my favourite Becca Opal highlighter, or Hourglass! I DO NOT get the hype!! 1 x Baked Eye Shadow Duo (1.8 g) in Honey Butter (warm champagne) and Bordeaux Buzz (deep burgundy) - high-impact, coloured pigment eyeshadows in a silky, creamy texture that lasts; with jojoba oil, vitamin E, centella asiatica and white tea extracts - They looked gorgeous applied on the models on the TV, but.. they are simply unblendable shades! The brown shade made me look like I had a bruised eyes, and they aren't in the same buttery / easy to blend league as Tarte! 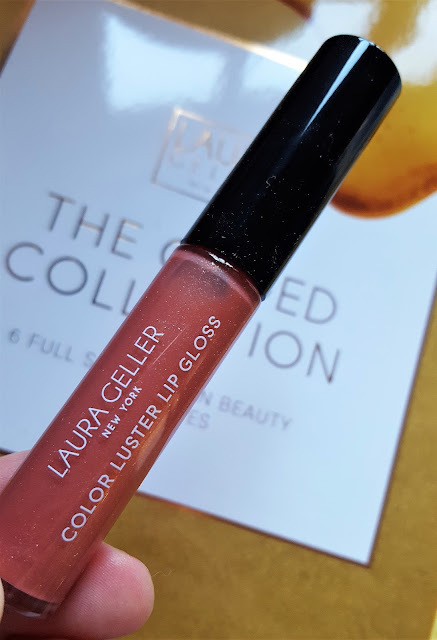 1 x Color Luster Lip Gloss (6.5ml) in Honey Caramel (golden mauve) - a moisturising, high-shine lip gloss with a light-to-medium coverage; infused with Italian tomato extract and kendi oil - The colour of this looked totally up my street. A pale nudey pink, I had high hopes.. but it is FULL of glitter particles! So many glitter particles that I could constantly feel them on my lips. Cheap and horrible! 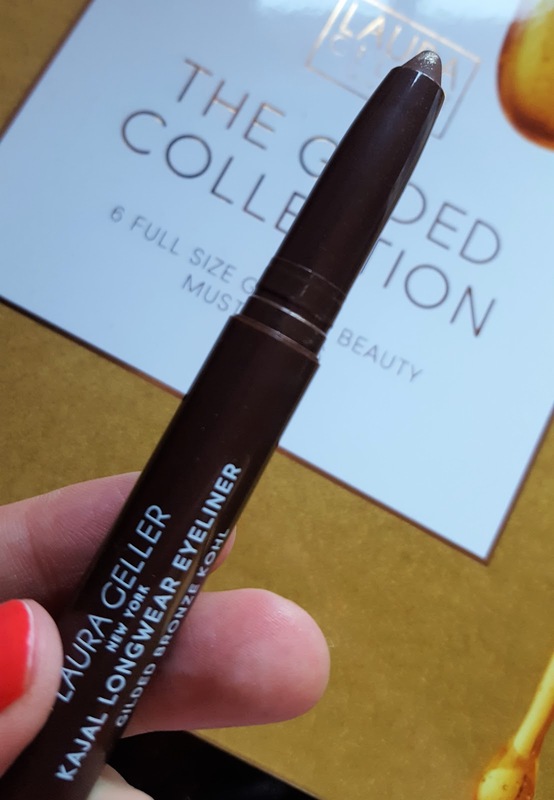 1 x Kajal Eyeliner (1.4g) in Gilded Bronze Kohl - a richly-pigmented, smooth kohl liner with a sharpener in the end cap; infused with vitamin E - This product applied seamlessly on the TV presentation, I even liked the fact that it had it's own pencil sharpener on the lid! But... the nib of this eyeliner is SO HUGE you simply cannot get a thin eyeliner line! It's just like using a rather large crayon. Just awful! So there you have it, my honest thoughts on Laura Geller Make Up. Luckily QVC UK offers a 30 day money back guarantee so I have posted this back for a refund last week. I hardly ever send anything back to QVC, but on this occasion Laura Geller just didn't live up to my expectations. What do you think of Laura Geller? Have you used anything from the range before? As always I am totally honest about products that I have tried. Honesty is the best policy! To view more make up ranges from QVC, Click 'Here' they stock tons of other fab brands - including my favourite Becca! I haven't used this brand before but after reading this post, I don't think I will be trying it.